- This guide works only for 1.5 version of CAINE Live CD, because the Caine 2.0 is patched! So you have to download NBCaine. 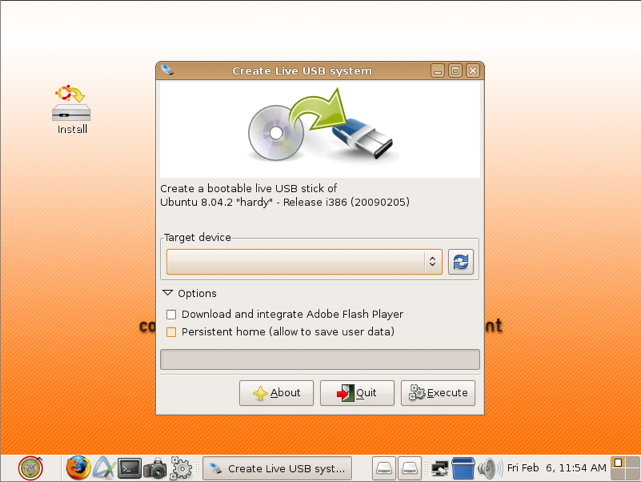 Start CAINE from cd-rom, select the graphics mode, insert the usb stick, then start a shell and run the command liveusb. Through the screen that appears, choose any option you want and at the end press the button "Start" to start the installation on the USB. Now you can save it, then remove the key from the shell and reboot the system. Your usb stick is a now a CAINE liveUSB!